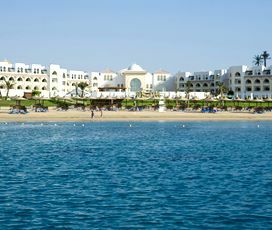 "For a more luxurious getaway, Sahl Hasheesh is the place. There are plenty of classy restaurants and bars on the promenade to spend your evenings." 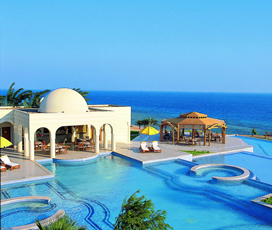 Sahl Hasheesh is a gorgeous self-contained tourist resort, situated next to the azure waters of the Red Sea. 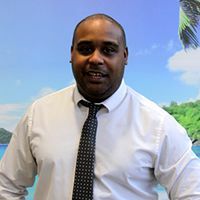 It is famous for its more than 12.5 kilometres of pristine sandy beaches, making it ideal for anyone who wants to have a relaxing holiday and escape the modern world. It is also great for more adventurous travellers, with the chance to ride a quad bike through the desert and scuba dive in the ‘Sunken City’. 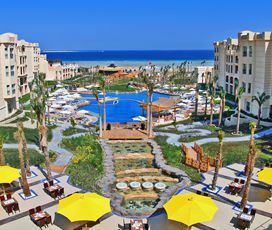 Sahl Hasheesh was built recently, meaning that it is modern, and all of its facilities are state of the art. This combined with the all-year-round hot weather and a host of other great things, makes it the perfect place to enjoy the turquoise waters of the Red Sea on your beach holiday. The waterfront beach promenade includes an array of shops, restaurants, cafes, bazaars and water sports facilities. Sahl Hasheesh is located only 25 minutes drive away of the Hurghada International Airport and 20 km away of the city of Hurghada. A newly built Red Sea Resort, it is situated around 25 minutes from Hughada International Airport. It is located on a beautiful bay, with more than 12.5 kilometres of pristine sandy beaches. The resort has a unique arabesque style, making it incredibly popular with visitors from around the world. Beyond the developed area is a vast desert and mighty mountains, which can be explored by things such as quad bikes, making it the complete holiday package. The resort has a dry desert climate, which is hot all-year-round and has almost zero chance of rain. Temperatures average well above 30 degrees between February and November, meaning that visitors can enjoy the beach all the time. The coldest month is December, when the temperature remains 22 degrees, meaning that Sahl Hasheesh can be enjoyed throughout the year. With a myriad of incredible activities, people of all ages are bound to enjoy their stay. This includes the golden sands of the beach, where people of all ages can relax or play in the crystalline waters of the Red Sea. It is an excellent place to snorkel and children are bound to enjoy seeing the incredible marine life that lies just beneath its azure waters. It is also an excellent horse riding destination with tours running regularly along the beach and through the surrounding area. There are also a number of hotels in the resort offering dedicated children’s activities, which ensure that it will be a truly unforgettable beach holiday for the younger members of the clan. When in Sahl Hasheesh you will have the perfect combination of relaxation and exhilarating fun, making it the ideal destination for pretty much everyone. Adventure seekers have the opportunity to ride a quad bike through the vast desert that lies just to its west, a heart-pumping experience that everyone is bound to enjoy. The resort also offers treasures beneath the sea, with the ‘Sunken City’ a replica of the lost City of Isis, which was submerged beneath the sea more than 1200 years ago, a great place to dive and experience all the incredible marine life that the Red Sea has to offer. The area is also renowned for its beaches, making it the perfect place to enjoy a relaxing beach holiday and escape the modern world. The best nightlife in Sahl Hasheesh is found on the Old Town Promenade, where there are a variety of cafes and restaurants. On weekend the resort puts on live music with outdoor DJ sets regularly taking place. Many of the clubs and cafes also host things such as: pool tournaments, karaoke and live music, making it the ideal place to have some beachside fun in the evening sun. The best shopping in Sahl Hasheesh is found in the old town, which extends out to the rustic promenade. Here visitors will find a combination of international and local brands, perfect for those wanting to bring a souvenir home. Although, it is important to note that Sahl Hasheesh is a dedicated tourist resort, meaning that it may be more expensive than other places in Egypt.